Music is the heart and soul of Odishan life. It has its natural exuberance in the fields, jungles and temples with the waves and ripples of the social and individual heart bubbling and floating in the winding hilly ways down to the village huts. This prompted in the contrivance of sound generating devices that move and throw along the moods and feelings to whisper from heart to heart and community to community, the voice, the message and the feelings of joy and woe, through the Changu, Nisan, Khanjani, Dholki, Madala, Ghumura and Pakhj. The sorrows and sufferings neither find expression in the tearing eyes and the palpitating hearts, but in the melancholy tunings of the flute, Dhanakoila, Behela and Kendera. The human life has its rise and falls. It bleeds and repents and begs before a supreme being whose sublime or figurative presence is contemplated to be in a grave, tranquil and sanctified atmosphere enhanced by sonorous temple bells calling to uphold and protect the shrinking heart to move forward in the right direction. It is how in every nook and corner we find temples and deities in lonely recesses graveyards and beneath the baniyan and peepal trees. Ghanti, Kansala, Jhanja, Gini, Ramatali and Sekabhajani deepen the environs to prompt in men an incentive to lead a noble life. The aim of life is to find joy in deeds and actions that stimulate the individual to mingle in festivities. 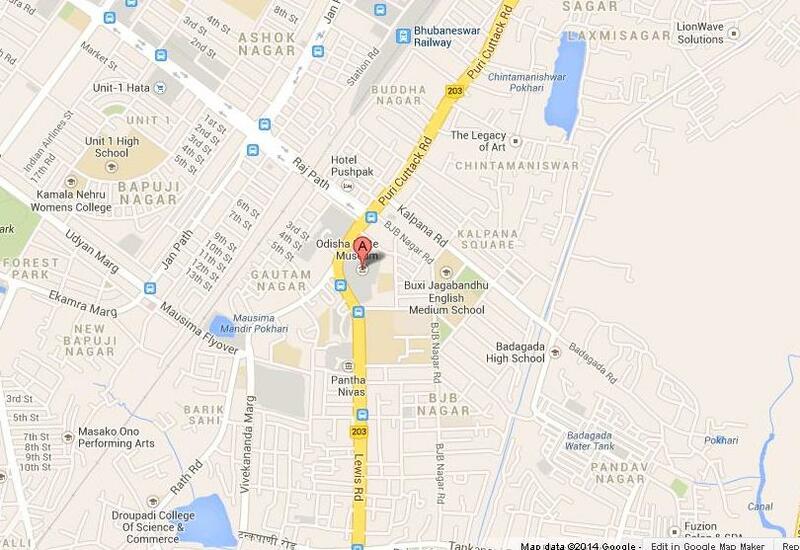 Each community has devised ways and means to commemorate a function. It may surround the temple, the village or the market to perform with all intimacy and with all free expressions as a slipway of the bondaged and regulated social life. Men and birds alike find their social life moody and jumpy when in action losing their self in muse. This involvement to find them forgotten from self is but a deep attention to the rhythm of a singing chorous or a vibrating drum to their attracted heart. So also the sounding Ghantas, tinkling Ghungurs, resounding Modals and bellowing Dhols drawthe heart with zooming calls. The rhythming musical instruments have attractions for the animals, ferocious or docile. They are irresistibly dragged unaware of the impending fate. A Morchang of the Saoras recall the voice of a quaking bird and a drinking beast to attract them for the fate hunt. A cobra remains still before a rhyming Nageswar enabling the Kela to encage it. All the devices of music are adjusted to various notes as warranted bythe situations. The conchshells usually represent good omens and are required to be played in marriages, propitiating oblations and invoking the deities. Even on some occasions these are treated as independent entities and are worshipped. However, beginning from the temple of Lord Jagannath to the remotest rural hamlets it is a sacred voice of love devoid of fear. 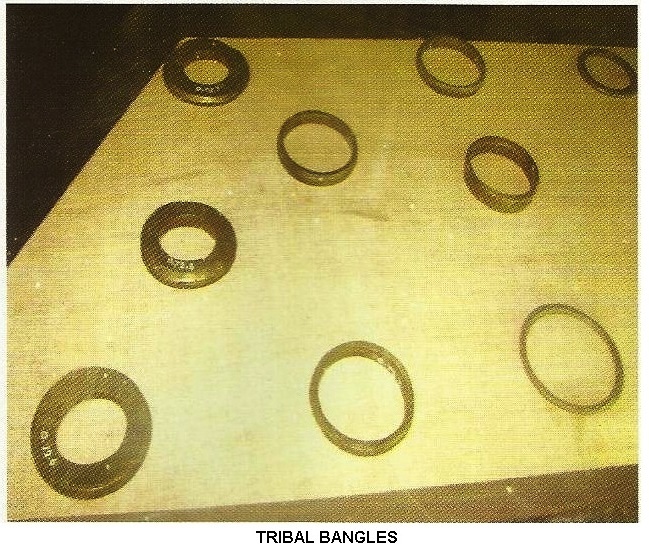 The "Baunsa Taranga" and "Katha Taranga" are the unique collections of our section represen¬ting the indigenous devices to produce various tunings in various bands ranging from the baritone to the bass. 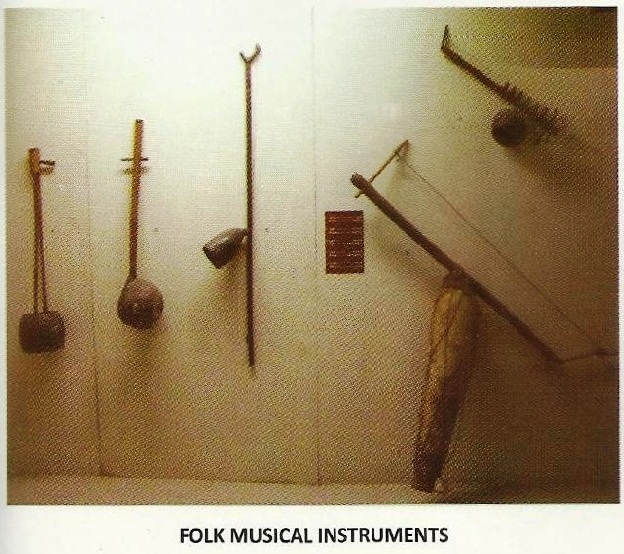 These are the musical instruments to match the voice of the singers. The last but not the least are the modern musical instruments believed to be modifications of the older specimens. They are the Bongo, Meracus and the like. The stringed musical instruments like veena, Kendra, Sarangi, Ektara, Behela, Dhenka are well-known and in vogue throughout the State. They seem to be the evolutions from the Primitive man's harp made of wood or bamboo shafts connected with fibrous strings of the jungle creepers. 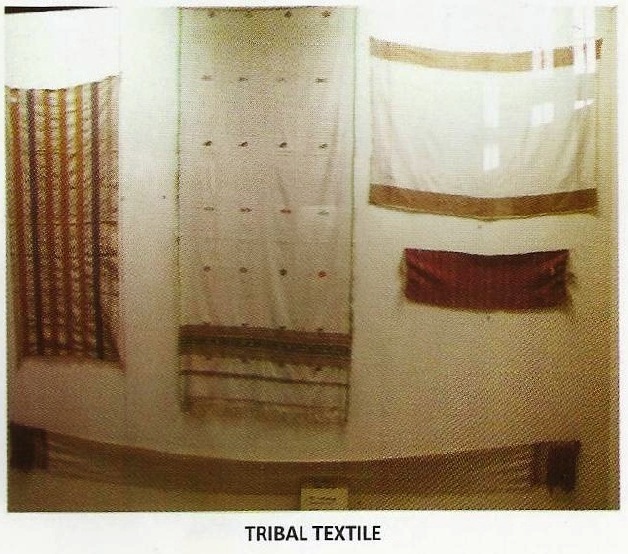 As a testimony of the same, the Surmandai in iron strings representing its modern form is displayed along with the Surmandal made of bamboo plates tied with fibrous strings. 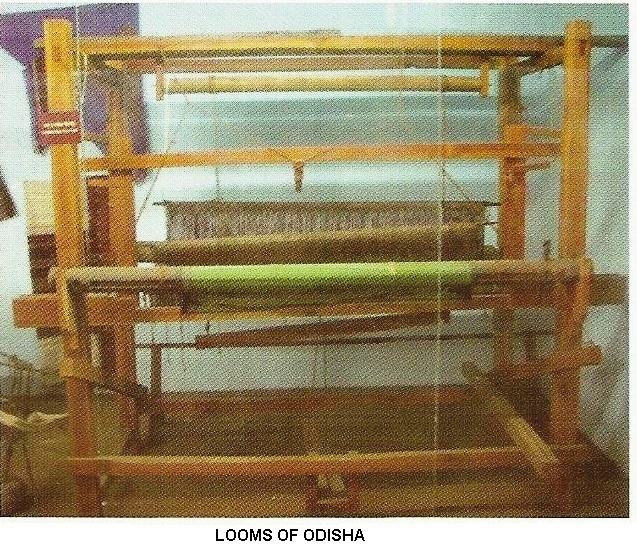 They had a role in the composition of the fine melodious songs of Odisha. The instrument Dhenka is alone responsible for the composition of a number of poems by Kavisurya Baladeva Ratha through its novel melodious tunings. The Ethnography section is a picturesque representation of the Odishan life in the wilds. The tribal deorams depicting a few of them, namely Juang, Kondh and Koya are but selected ones rich in their own way of cuitural attainment. Besides them are the hunting instruments neatly arranged alongwith the costumes and ornaments in life size wire-models. The folk-dioramas of Pala, Daskathia, Odisi and Puppets on Gopaleela are there to represent the enjoying Odishan community life in their leisure. The ornaments both tribal and folk give an inkling of the ornament loving decorative habits of the women in Odisha. The Juang models represent their dancing scene which they hold in their trips to other village in search of spouses. The night is the time to dance and ask for the hand of the partner. In a series of dances the love blossoms arid matures in proposals for marriages. The most interesting but the accompanying feature is the offering and partaking.